Fashion watches,silicone watches,men watches,ladies watches suppliers,manufactures-Shenzhen Caister Watch Co.,Ltd. 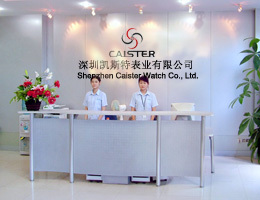 Shenzhen Caister Watch Co., Ltd. is an experienced watch manufacturer, we have our own watch case, watch dial and watch back cover department, our products engage in stainless steel watch, alloy watch, silicone watch, sport watch, pocket watch, child watch, unisex watch, bracelet watch, nurse watch and hang watch etc. those middle and advanced brand watches, gift watches, fashion watches. We have 200 experinced staff, of which including 15 QC staff, 10 R&D technicians. There are advanced machinery with 6sets of king watch automatic lathe, 1set of alloy die casting machine,10set of drilling machine, 3 production line of milling house and 5 assembly line, 5 assembly line, 12sets of lathe, 4sets of hydraulic machinery, 6sets of punching machine. With the principle of “Integrity, practicality, innovation and keep up”, we are optimizing management system to offer considerate service and support, aiming at win-win solution. We can do customized watch design, meet different technics requirement, our watches can be made 1-5atm water resistant. We sincerely look forward to cooperation with new and old customers in near future.